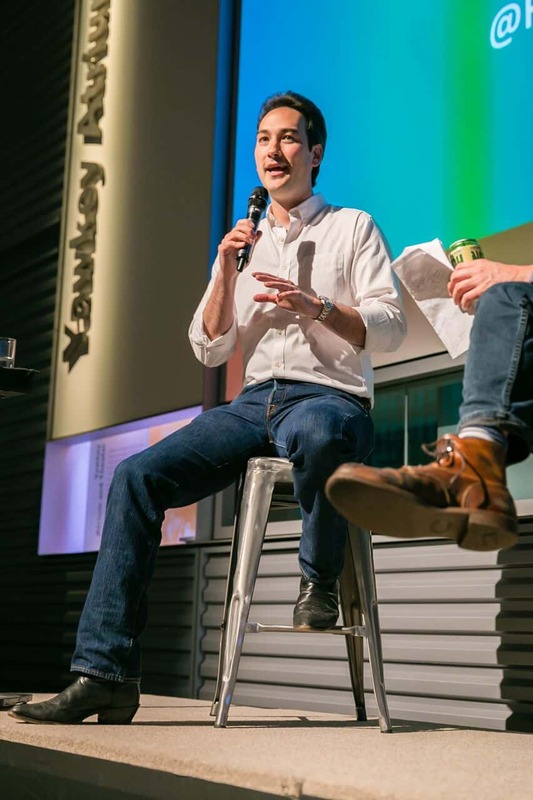 On Thursday, June 14th, at WGBH’s Brighton Studios, about 100 lucky guests were able to hear Jason Loeb, Owner and Founder of Trapology Boston, speak on the ideas of “escape” as a part of the BostonTalks Happy Hour. Listeners were also treated to the words of Richard Marinick, a past state trooper turned criminal, licensed addiction clinician, and author, and Lisa Lewtan, a certified health, and lifestyle coach. Jason was honored to hear that BostonTalks had thought of him when the word “escape” came up, and even more so when they decided they would like for him to speak at the event. And so, with a few pep talks and a couple rehearsals of some key Trapology Boston backstories, Jason was off to Brighton to share his thoughts on escaping. Throughout the night, drinks and snacks were offered by Premier Bar Service + Catering and trivia was asked to the guests by the host. It was an atmosphere akin to a coffee bar with light music playing in the background as friendly mingling took place throughout the space. As it came to be Jason’s time to speak, the Trapology employees in attendance — Tina, Dylan, and Nate — all took their place in the rear of the auditorium to listen to and appreciate their boss. Jason elected to use his allotted time as an interview, answering questions on topics ranging from how Trapology began and are escape rooms for everyone, to where the escape room world has come from the 3 years we have been open and where Trapology is headed in the future. 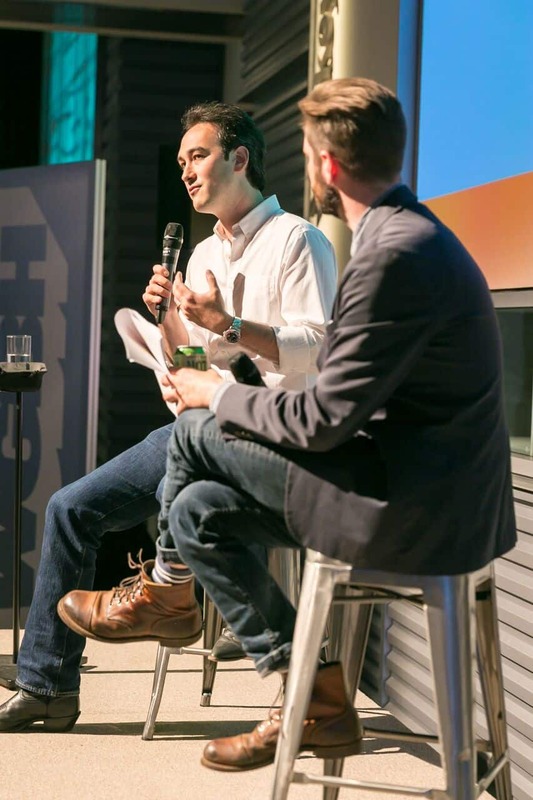 Jason and everyone here at Trapology Boston was thrilled to have the opportunity to share our stories and proud to be able to show what makes us such a fun and interesting company. 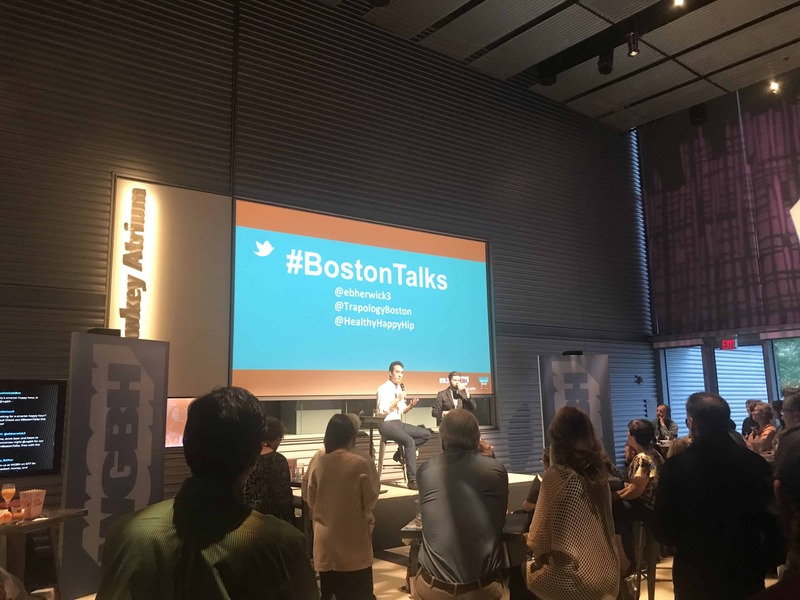 We would like to thank the entire team at BostonTalks and WGBH for letting Jason speak and allowing us to enjoy an intellectual happy hour. 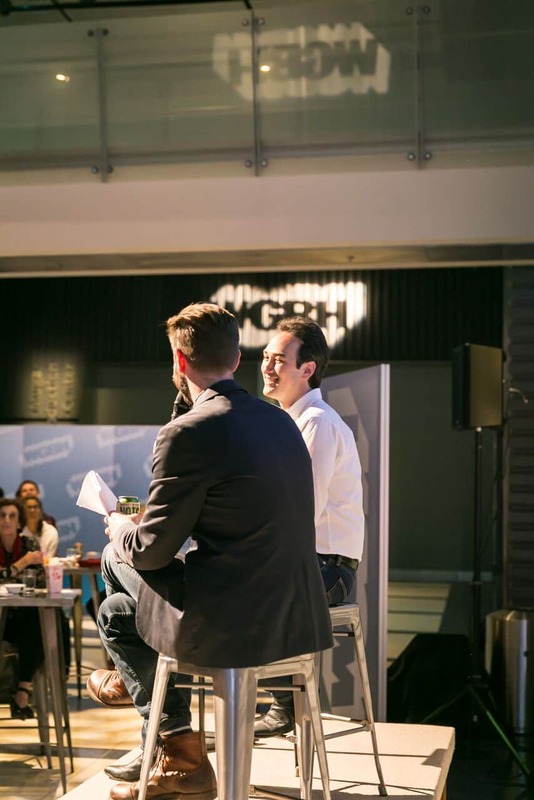 Keep your eyes out for any BostonTalks Happy Hours in the future. You surely will not be disappointed.